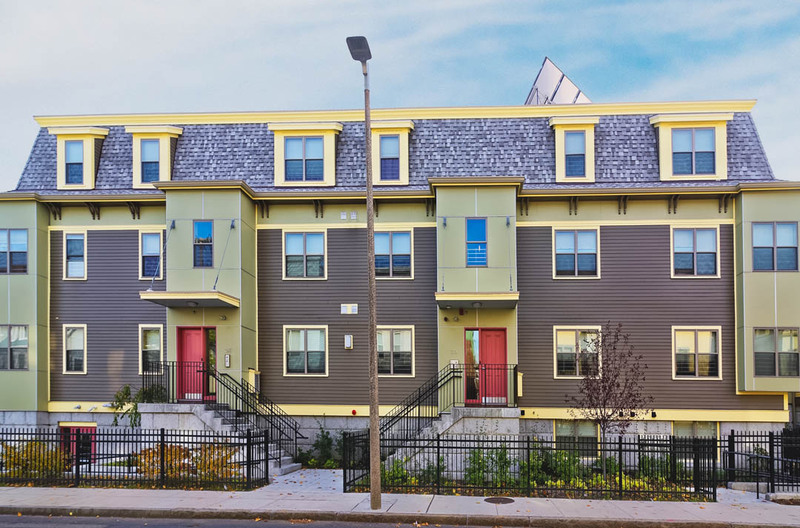 Scope: Dorchester Bay EDC and Quincy Geneva Housing partnered to rehabilitate 129 affordable housing units through renovation and new construction of 11 buildings located within a three-block radius of Quincy Street in Grove Hall. The project was carried out in two phases, the new construction of 49 units and the gut renovation of 80 units. The project was the first in the United States to close on funding from the U.S. Department of Housing and Urban Development’s Choice Neighborhoods grant program. The City of Boston’s Choice Neighborhoods Plan, known as the Quincy Corridor Transformation Plan, centered on the redevelopment of Quincy Heights, a severely distressed 129-unit HUD assisted housing development in which Dorchester residents faced many challenges, with nearly 33 percent of households living in poverty and Part I violent crime rates that are double the rate of the city as a whole.